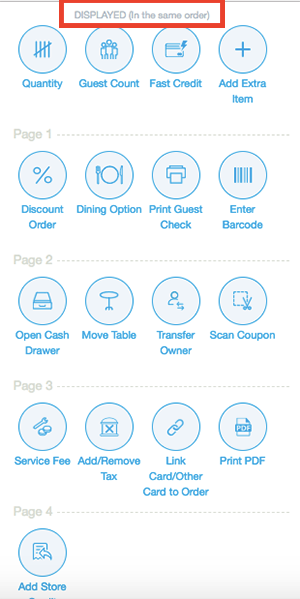 These actions range from the discount order button, print guest check, open cash drawer, and many more. Depending on certain settings, there can be additional buttons in the list as well as custom action buttons that you can create. 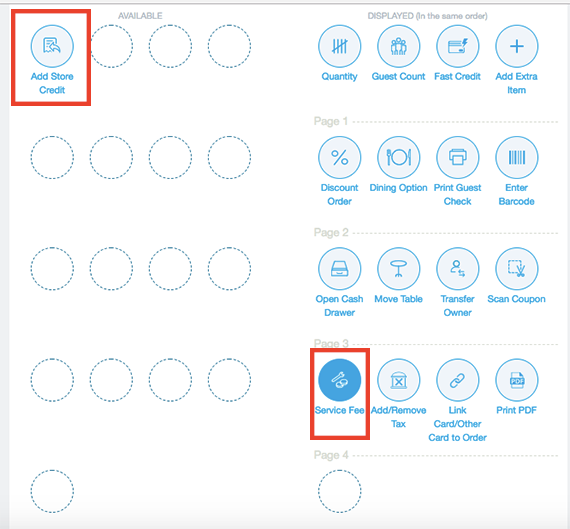 Revel offers ability to rearrange or even remove certain buttons, so you can customize your order screen the way you need for your business. That way, if you have certain actions that are not relevant to your establishment, you can hide them and only use the ones you need. 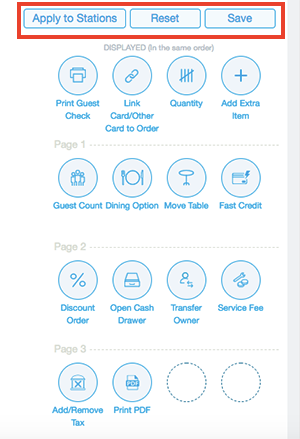 You can also organize buttons in a way that your most often used actions appear first in the screen and have different arrangements per station depending on the type of service (like table service orders and bar orders) provided at that station. Let's take a look at how you can rearrange these buttons within your Management Console! Log into your Management Console (yourdomain.revelup.com). Click on the Establishment link in the menu at the top of the page. Note: If you don't have any POS Stations set up, see our article Setting Up Your iPad POS Station for instructions. That's it! 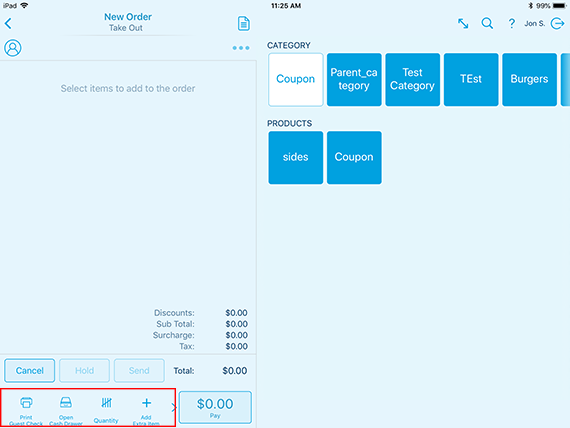 Now you've set up your action buttons for your iPad POS station.